Norwegian Cruise Line has hired Hope&Glory as its retained consumer PR agency in the UK, following a competitive pitch process, PRWeek can reveal. The agency will work alongside the company’s in-house PR team to deliver a press office and creative brand work. The incumbent on the account was Flagship PR. The win cements a strong start to the year for Hope&Glory, which picked up Sainsbury’s consumer PR account from Freuds without a pitch in February. It will work with Norwegian Cruise Line to widen the consumer profile of the brand and communicate its "innovative and extensive offerings", the agency said. The remit includes helping launch Norwegian Encore – the company’s fourth and final ship of its Breakaway-Plus class, which debuted in Miami in November 2019. There are a further six ships commissioned for delivery until 2027. 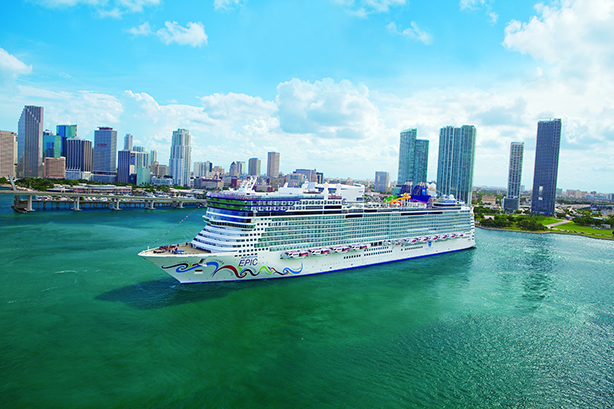 "We are entering a really important and exciting phase in our future," said Nick Wilkinson, regional VP of business development at Norwegian Cruise Line. "In the last ten years, cruise travel has grown by 47 per cent, with increases in bookings by those in their 20s to 40s, and this trend will only continue." "It was the right time to bring in the fresh, creative thinking of the Hope&Glory team, which offers a winning combination of stand-out ideas and thorough execution." Hope&Glory Director Don Ferguson will lead the account. "As cruise holiday and travel fans, we’re excited to come on board to tell the Norwegian Cruise Line brand story, and we are very excited about the company’s future ship launches," he said. "We’re very happy to add our creativity to the day-to-day press office whilst pushing new boundaries in the traditional cruise space."